The biggest fear that a businessman usually sees today is realizing that his website is in trouble and him, no longer to communicate in terms of services, better communication with the outer world anymore. More than 30,000 of the websites today are being hacked every day. It is an important part to keep your data backup and taking this issue seriously. Today it has become quite important for the developers and designers to facilitate businessmen with this facility. There are plenty of Best Website Backup WordPress Plugins that are helping entrepreneurs, businessmen to choose plugins for this purpose. Where you are assured of your data is saved from heavy junks of files, you must know about the fact that your data may come up with several challenges including the backup for all files. So Best Website Backup WordPress Plugins helps you in doing things great and exactly in the way you imagined them. It restores every file and makes them easy to process whenever you need them. Today, 70 percent of the total websites belong to WordPress and it has many reasons for it. WordPress has promised complete integrity, support and more important user-friendliness to its clients. It never disappointed, and yet continue to emerge, grow likewise to the client’s needs. WordPress platform is quite easy to handle and made life far easier than before. There is usable code available that helps its developers to stay connected with the users need and a lot more. It offers a complete set of operations that are easy to be managed with no or minimum response time. Check Out this article on Speed Up WordPress Site Today with These 9 Simple Steps for more help in case you want more perks of WordPress. There are a number of plugins that WordPress offers to its clients and makes the journey possible for every individual to grow. Let’s begin with a top list of WordPress Backup support that is much needed in 2018. These tools are chosen from the top list of platforms helping around the globe to WordPress developers for making a significant impact. It is one of the original and amazing WordPress plugins that will completely back up the entire WordPress installation that also includes a media library, plugins, widgets and content setting along with the individual databases. This plugin worked for self-hosted WordPress website that, you can later download for a zip file for strong backup. One can also schedule customized backups and the plugins include the amazing support for Amazon, Google, DropBox, Rackspace, and Cloud Files. This plugin also provides one a complete functionality to get all the stuff back individually instead of restoring the entire, bunch of websites. It has more than 500,000+ installs and its installation process includes the content and extremely helpful for backup service and support like FTP and so on. Its backup service and easy installation is everything is provided with single zip files. In order to use the plug-in, you always need to make sure that you are using the WordPress version 3.9 and the PHP 5.2.7. If you wish to have functionalities for this backup support than you would definitely need the version of PHP 5.3.3 with MySql, BZ2, Zip Archive and curl. This WordPress full backup plugin has the excellent functionality to let you schedule all your future backups and much-needed support. This has the particular plugin, that doesn’t require extensive efforts and let the memory shared host environment, manage the multiplicity and also offers the backup email to you to make it excellent backup for zip files. It has a tendency of fast backup as well. This plug-in is an amazing and really a blessing if you want your content to be translated for all German, Romanian, Russian, French and other platforms. This tool gives you a liberty to migrate, create a clone and making copies easily. This plugin also serves for the simple backup assistance and will support for both base64 and serialized string replacement. You are also given the complete credibility to back-up the entire website for a part according to your wish. You can also now duplicate your live website to the staging area and vice versa then. One can also pull down a live site for the distribution or reuse. The WordPress migration campaign can also be easily done without having import or export with SQL scripts. A multi-site subsite can easily be installed in a place of the new standalone website. Then than just migration, it gives the review of duplicator pro in depth. It simplifies your all needs, backup the entire cloud including Dropbox, Google drive, DreamObjects and restore everything with a single click. This Backup plugin takes secure backup of all files to belong to WordPress, MySql, tables and online web based management systems. This plugin also lets you automate the processes of backing up the entire WordPress site plugins, templates, comments and hence the actual copy. Unlimited backups can also be made at any time of the day and the files can be encrypted, stored and securely via using the 256-bit encryption. One can also restore files individually in bulk. These backups can also be viewed or downloaded via a simple file management system. It is one of the best WordPress backup plugin 2018 that back up the complete WordPress site and database into the zip files with a complete schedule. It offers remote storage options including the SFTP, FTPS, and FTTP. It backup is said as the total backup. Currently, the support is monthly, hourly and daily based with an equal interval. This backup plugin can also be translated into various languages that are not supported by the plug-in. Activating and scheduling other languages the backup on a regular basis can also help one in getting regular backups. This package creates the database backup with quiet ease and with a single click, making an auto backup, backup with automatically repeating schedule and downloading the entire backup directly from WordPress dashboard is now super easy to install. One can simply configure, restore the database with multiple store destination and be making a complete backup safely. Examples to it are Amazon, FTP, and Google drive. It helps in maintaining and reporting, sending the emails, making backups and reports and addressing the complete channel. It sorts out problems, backup zip files, format on the local server and sends all relevant data towards the destination when required. You can easily get you all schedule all backups and the locations of the backups within your server you can also choose files and the directories of your wish by excluding the backup. The plugin also uses OAuth that keeps all the account details and to not stored to the plugin for gaining access. When you first try to access the plugin then you may access the authorized center for the Dropbox plugin. VaultPress backup does everything real and also helped in security scanning. It makes the easy backup, comments of files, revisions, and dashboards on the server. VaulPress is now powered by the Jetpack and it is being easily protected the website against the hackers and malware functions to accidentally damage the hosts’ spaces. As people are facing too many problems, when it comes to security and managing websites. VaultPress offers a complete security and integrity to the WordPress users by providing them the excellent backup. Each WordPress backup plugin has its own perks and pros and cons. Mainly VaultPress is being widely used for its own reasons. It is quite easy to use and has real-time incremental backups. Instead of backing up all of your files with each emerging day, every hour, it creates backups within the minute and helps you reach your files within a few minutes. This is really a great help for large sites that have much to do with each day and allows us to use server space efficiently. Let’s begin with the list of few paid excellent WordPress backup plugins that are saving millions of rupees with just simple integration. This is quite a comprehensive backup platform that has excellent compatibility with exporting your WordPress website, including themes, plugins, databases and all media files from one server to another without any breakage. It also covers seamless job regardless of any pressure. This plugin is the best part for making a compatibility with mobile compatibility. This plugin backup with every WordPress site in the cloud. Even its free version is quite capable of backing up all files directly to the different cloud platforms like Rackspace cloud and Google drive. Aside from its all cloud backup, it has a tendency of directly backing up with restoration with much ease. 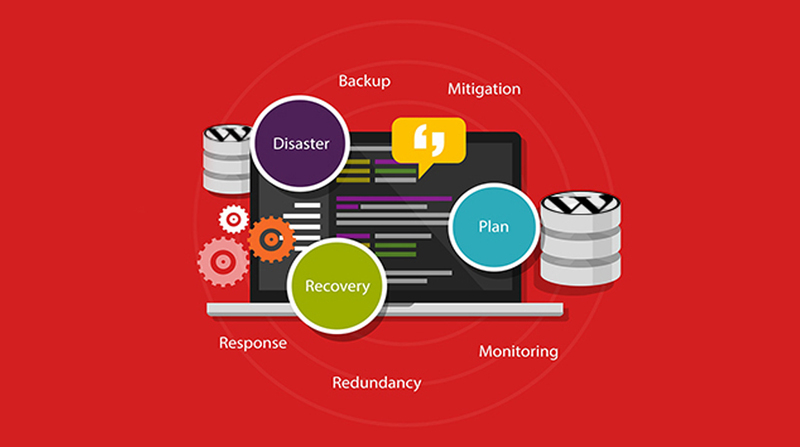 You can be done everything here regarding backup with much ease and zero issues. It is another best plugin that is free and amazing to deal with. It is quite a comprehensive plugin that backs up every file quietly easily. It helps in maintaining all the files in the logs and migrate them effortlessly. Its free version has not much limitations that means you can move your files anywhere you want to see them. This is an amazing backup plugin that is well known by many WordPress users, It is because maybe because of the absence of marketing stuff. It is still good for backup your WordPress site. It has not many issues with compatibility. How to backup the WordPress database? Is all easy to be done with a complete central backup WordPress plugin. It is another trusted backup plugin that takes the entire WordPress website. It includes files that you can save, plugin to create you daily, the weekly or monthly schedule for automatic backup of your complete websites and databases. Query1: How to Use Backup WordPress Plugin? It completely depends upon which plugin you are using. WordPress itself is an easy platform to deal with. You can check for its admin panel just like another plugin you introduce your website with. Query2: Is this compulsory to Create Website Backup? Yes, of course, it is. After all, it’s all about technology. One has to be assured of things, as your website is your assert. A backup is always a good option. Query3: Is Creating Website backup in WordPress is Easy? Yes, it is. Still, you need technical assistance to avoid inconveniences. It’s better to hire professionals once if you are a newbie. The best way to achieve responsiveness and integrity of your website, Install These Essential WordPress Plugins for your Business Website. It is not a too much hard thing to do, once you know about all basic and core concepts of WordPress. Good software that is developed with complete care and according to the software development conventions are always easy to handle and maintain. WordPress where got enough of popularity because of its flexibility, ease of use and excellent maintain always needs customization. This depends on how professionally you develop them. This professional texture in your software never comes with your knowledge at learning level. WordPress has great significance and offers your business a good boost if developed in the right direction. Unfortunately, there are a bundle of websites that we see roaming around search engines but failed to get that popularity because of poorly, partially or developed in an unprofessional way. If you would like to receive free WordPress or all other Information technology assistance you can call us at 832-699-008. We are looking forward to assist you 24/7.